IGP orders withdrawal of police officers from VIPs – Royal Times of Nigeria. 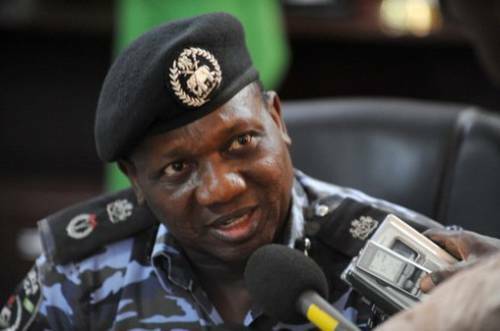 The Inspector-General of Police (IG), Mr Ibrahim Idris, has ordered the immediate withdrawal of all policemen attached to Very Important Personalities (VIPs), political and public office holders in the country. Idris gave the order at the monthly meeting with Commissioners of Police on Monday in Abuja. He said, “A directive for the withdrawal of all police officers deployed to VIPs, political and public office holders, with immediate effect, is hereby given,”. He said that the order became expedient in view of the current security challenges in the country, adding that it was aimed at enhancing effective and efficient policing of the country. Idris said that the directive included business entrepreneurs, multinational companies as well corporate individuals. The police boss said that a memo would be forwarded to President Muhammadu Buhari for approval.